Spain is an enchanting country with so much to offer visitors. Most tourists tend to stick to the well beaten paths of Madrid, Barcelona, Seville and Granada. These are amazing destinations, but we wanted a little something different to add to our experience of Spain. Instead of taking the train or driving the long boring stretch of highway between Madrid and Barcelona, we went the long way. Our route off the beaten path took us to a Spanish village set perched on a cliff, an old medieval hilltop town, a long forgotten ghost town from Spain’s civil war and through many more rural villages nestled in between fields of olive and grape plantations, before reaching the bustling and enchanting Barcelona several days later. Heading southeast out of Madrid, our first stop was Cuenca approximately 2 hrs away. 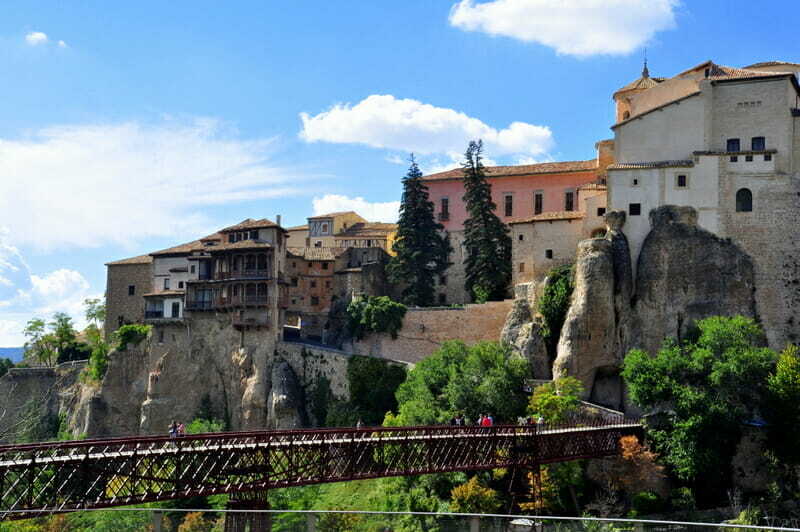 Cuenca is one of Spain’s most enchanting medieval towns where houses precariously hang on the side of cliffs. We spent our short time here exploring the winding lanes around the village, visiting local ceramic shops and enjoying delicious Spanish food al fresco on the village square. 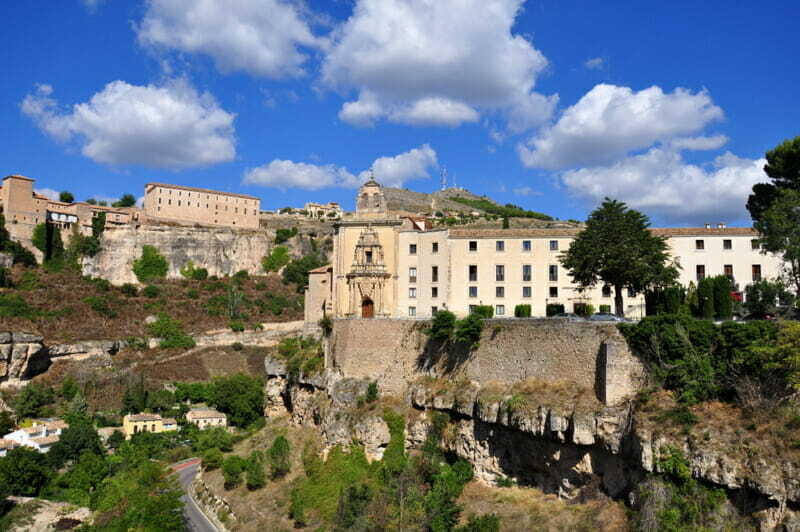 The Parador de Cuenca was the perfect hotel for exploring this medieval town. The building, an old convent, is ideally located directly across from old town with excellent views of the famous hanging houses. The hotel has massive rooms, interesting architectural details and beautiful art adorning the walls and common areas. Moving on, our next destination was a few hours away, but there were many items on our agenda! The first was a quick stop off at viewpoint Ventana del Diablo (Devil’s Window) where a 5 minute walk leads to a picture perfect window looking out over the valley. From here, we drove on a few miles to the quirky Cuidad Encantada (Enchanted City). This is a great detour for kids to get out, run around and explore nature. Pack a lunch and enjoy yourself while surrounded by limestone that has been eroded into interesting shapes resembling buildings, animals and even a tornado! The walk around the grounds takes about an hour to complete at a leisurely pace. After lunch, we headed out along driving through beautiful scenery along the meandering Jucar river. We were enchanted with the narrow twisty mountain roads filled with the sound of cow bells ringing as herds made their way around the forest. The beautiful scenery was just the start of what was waiting for us as we arrived to the picturesque mountain town of Albarracin. This medieval gem has narrow winding cobblestone streets, with ancient houses that practically touch each other over the lanes. It looks and feels just like it must have several hundred years ago. We spent a few hours exploring the castle and getting lost in the virtually car-free by-lanes. The best part of our visit to Albarracin for my son was picking wild growing grapes hanging from the houses as we worked our way to the top of the town admiring the fascinating details of the homes. He was even happier once he spied a large playground below the town. Letting him be a kid for a while, we relaxed while admiring the views of the castle looming above us, imagining what life was like here in times past. In hindsight, this would have been the ideal location to stay the night. Instead, we powered on for our overnight stay in the industrial town of Teruel. We had grand plans to visit theDinopolis (a fabulous dinosaur theme park), but decided to have a mellow morning instead before slowly heading a bit off path to the ghost town of Belchite. Slowly making our way through through steep canyons and vast empty fields, we arrived at a long forgotten ghost town from Spain’s civil war. The original Belchite town is situated next to the newly rebuilt town as a reminder to the horror of the conflict. We enjoyed (can you say that?) wondering through the ruins, listening in on our audio guide here and there, but mostly just imagining how life would have been back then and how it must have been during the war. Our son didn’t understand any of this, but he loved being able to climb on a canon and walk through a town destroyed by war, a word he didn’t even understand. As had become the custom on our road trips, our son loved exploring the traditional Spanish playgrounds present in even the smallest of villages. Our final evening ended at the amazingly beautiful Parador de Alcaniz perched high above the town of Alcaniz, welcoming us as we drove into town at sunset. This hotel was a 12th century castle converted to a palace that now houses a gorgeous hotel. The weather had turned cold and rainy which thwarted our plans of picnicking in villages and playing on playgrounds along the way on our final stretch to Barcelona. Instead we relaxed in our gorgeous hotel before getting on the road to our final stop in the Barceloneta district of the vibrant, bustling Barcelona. We needed our rest since there we had many things to do in Barcelona on our to do list! Exploring off the beaten path in Spain was a delight as we felt we were able to experience real day to day life. 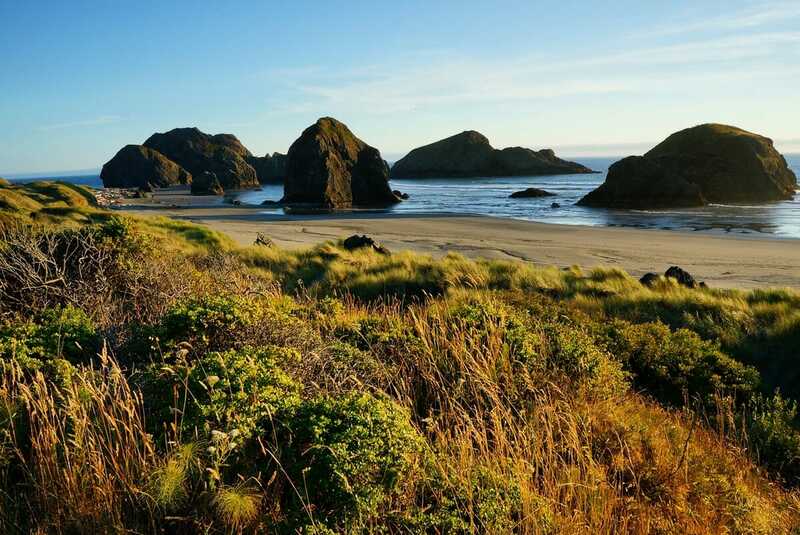 By following this route, you enjoy some fabulous sights that are truly off the beaten path. However, as a word of caution, exploring outside of the tourist zones means you need a certain level of Spanish as many people we ran across did not speak any English. My basic Spanish (accidentally mixed with years of Hindi!) was adequate for our journey, although we probably could have had many more great conversations with friendly locals had we spoke a bit more Spanish. Go ahead, explore a bit off the beaten path next time you are in Spain. 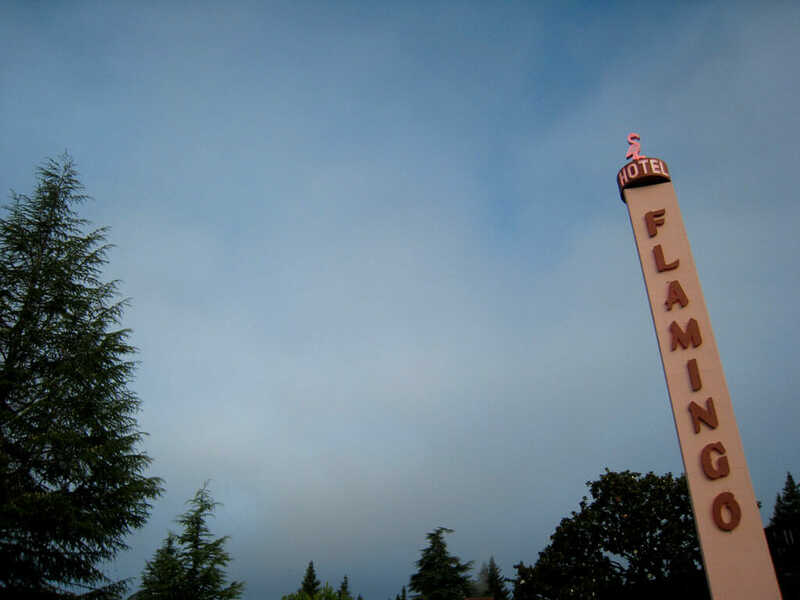 You will be rewarded with fabulous food, scenery and a glimpse into the past. What a fun trip! I loved Spain, but didn’t actually do a road trip, I bet that’s such a fun experience! It’s so fun to get off the beaten path. Those roads and castles are beautiful. And that photo of the grapes is lovely! Thanks for the message Amanda! Love this! 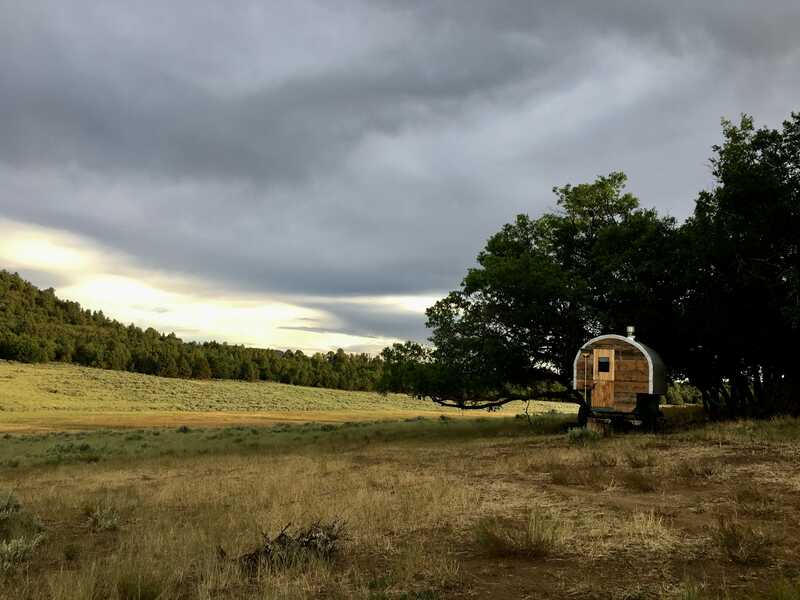 Some of the most amazing experiences happen while wandering off the beaten path, and it sounds like you had a fantastic time! Gorgeous photos as well. This is inspiring me to go to Spain! A mix of off the beaten path and tried and tested places are our MO! I love staying in the Paradores. We took a road trip from Madrid to Sevilla a few years ago and stayed in a couple of them. It was an unforgettable experience. Madrid to Barcelona seems like a very long drive. I think Madrid to Barcelona is about 7 hours if you do it direct. Ours was a long meandering way but that’s what we wanted. And yes the paradores are awesome! We tend to road trip a lot and I love it. The flexibility, the insights to the culture and just being on the open road! My husband want to do a similar road trip next year. We want to start near Madrid and head back up to Barcelona. I guess I need to brush up on my high school Spanish before the trip! Sounds like an awesome road trip. I’ve never been to Spain but I’m looking forward to it, spanish is my native language which only enriches the cultural experience. You would do very well there with speaking the language. I wished I had known more but after years in India my Spanish was a bit rusty! Great post! We love wandering off into the unknown. My daughter always loves finding new parks. Playgrounds abroad are the best. My son doesn’t know the difference but I love seeing the old school metal, probably not that safe playgrounds! Brings back memories! Do it! If you have more time there is even more to see! What a detour! The scenery, the architecture – taking the long way always pays off, and it’s only really then that you stumble upon local gems that you wouldn’t have otherwise found. Love your photos, sounds like it was a really fabulous trip 🙂 I’ll have to get to Spain soon! Thanks for the comment. It was a great detour. And yes you must get to Spain. I had no interest for so long and random events led us there rather than a planned trip to Morocco and I am so glad we went! Great Post! Spain is on my Europe list for sure for a long stay! i like how this post helps to remind us to not always just head for the big things, and sometimes the not-so-obvious experiences are the best! It was a blast. I fee bad that we didn’t do some of the big touristy cities, but this made more of an impression on all of us than anywhere we visited in Spain!! I used your trip as reference for a recent Spain vacation. I can not thank you enough for posting this with such detail and great photos. I stayed overnight in both Albarracin, and Cuenca and had the most incredible time. I’m so happy to read this and that you had a wonderful trip! We really loved exploring off the beaten path in Spain.